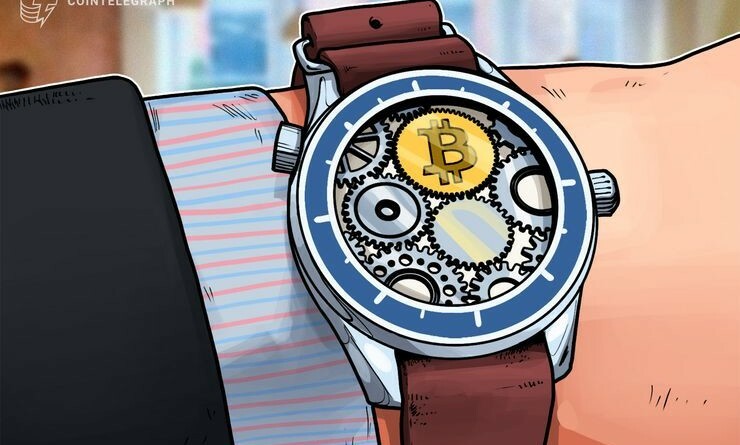 If you’re still waiting for the bitcoin revolution as the famed cryptocurrency turns 10, you can at least track the passage of time with a bitcoin-themed watch. But put away your cash and credit cards. If you want a Big Bang Meca-10 P2P limited-edition timepiece, you’ll have to pay with virtual money. Bitcoin, naturally. The watch can only be purchased and paid for online. Swiss luxury watchmaker Hublot is making 210 of the watches as a reference to 21 million, the fixed global limit for bitcoins. Each watch will bear the identification number of the bitcoin transaction engraved on its bezel. And the blue leather watch strap sports a futuristic design that Hublot says is inspired by blockchain, the technology underlying bitcoin and other cryptocurrencies. Now playing: What the heck is blockchain? Hublot announced the watches in Hong Kong Tuesday with a dramatic video complete with movie-thriller music. As for how many bitcoins you’ll have to dump from your digital wallet to get this watch on your wrist, Hublot didn’t immediately respond to a request for comment. Bloomberg, however, reports it’ll go for $25,000 (about £19,089, AU$34,640). That’s about 4 bitcoins at their current value. But hey the watch is water-resistant. ← BITCOIN WILL BURN THE PLANET DOWN. HOW FAST?